WEST JORDAN – Defensive energy was high Thursday night as the Bingham High girls basketball team visited Copper Hills High. Add to that a high volume of missed shots and unforced errors and you have the makings of a low-scoring slugfest as two of Region 3’s best battled for front-runner status. It was the kind of game that felt like it was waiting for someone to get hot and deliver her team. The team that got that was the home, as 5-foot-7 guard Shirsten Wissinger went off in the fourth quarter, allowing the Grizzlies to come from behind for a 50-42 victory. With the Miners up 38-36 late in the fourth quarter, Wissinger buried a two-point basket followed by a pair of 3-point bombs to push Copper Hills to a six-point advantage at 44-38. It was the kind of separation neither team had much in the contest, but it put Bingham into the position of chasing the lead the rest of the way, and the Miners were unable to catch up. 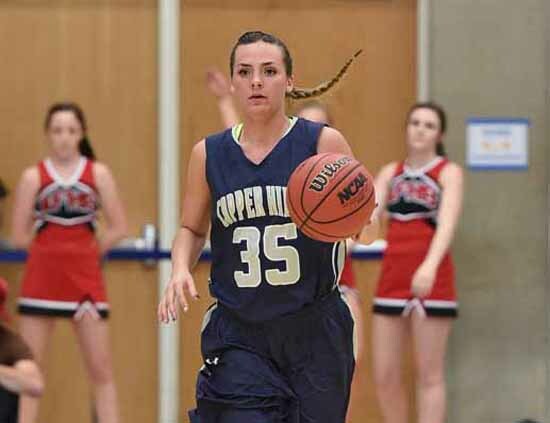 Madison Loftus followed the 8-point Wissinger barrage with a 3-pointer at the 1:13 mark, but the 5-7 Copper Hills guard answered right back with a trey of her own. Once the Grizzlies took care of business at the charity stripe to close out the win, they walked away with their perfect season still intact and with a lead in the Region 3 standings. The Miners jumped out to an early lead in a first quarter that featured single-digit scoring both ways, as they relied on balanced scoring. Wissinger knocked down a couple of shots in the first, but she was largely off target during the first half. 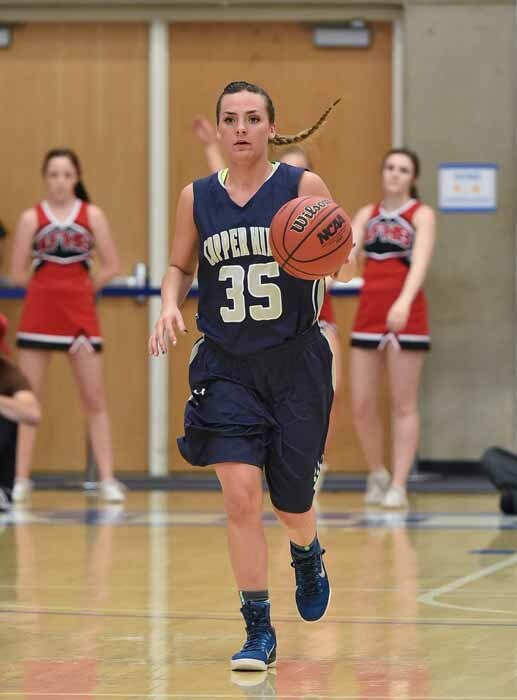 Bingham’s ability to control Copper Hills’ leading scoring before the break kept the game close throughout. In fact, Wissinger, the only double-figure scorer on the Grizzlies’ roster at more than 21 points per game, connected on her first three of the night late in the third, and that may have kick-started her into closing strong. 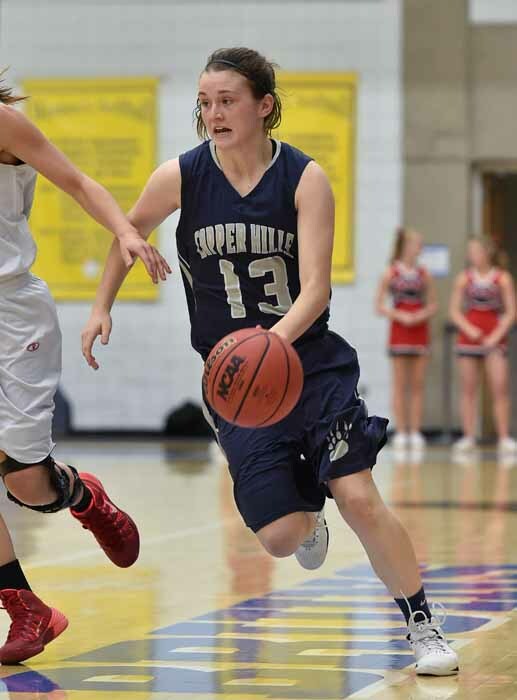 It was actually junior guard Kate Sisler that first got things going for the Grizzlies, with a pair of threes in the third, while Bingham continued to struggle to hit shots from the floor. The Miners struggled to finish even at the rim as everything was contested, but managed to head to the final stanza down just a single point mostly because senior forward Leya Harvey was a defensive force in the paint and dominated the backboards. Loftus got things going in the fourth quarter for Bingham with an early trey and Miners took the lead, but then Wissinger turned on closer mode, draining a total of four 3-pointers and scoring 15 points in the final period to allow Copper Hills to pull away for the win. Loftus led the way for Bingham (3-1 in Region 3, 11-4 overall) with 14 points, while Harvey scored eight points while ripping down 15 rebounds. Wissinger scored 20 points in the second half and 26 in the contest to set the pace for the Grizzlies (4-0, 13-0), while Sisler finished with 12 points and Mikelle Magalogo grabbed 10 boards. Next up for unbeaten Copper Hills is a home game against Taylorsville (2-2, 6-7) Tuesday, when the Miners will host West Jordan (1-3, 4-8).